Closing Day 2017 – Smooth Operation! Thanks to all who came out and the efforts of our coordinator, Gail, this year’s closing day was so well executed that the beach was all clear by lunch time! Hope to see all of you back next season. … before season’s end. Dress well and enjoy the autumn winds. Then warm up afterwards with a hot chocolate in front of the fireplace. The club’s in top shape; the weather is finally behaving like summer; time to get out there and enjoy the boats and the river. Well, July is but we’re not sure about summer weather. No matter – most of the boats are now on the beach and the plans are to set up the beach deck and floating docks this weekend. It certainly has been an exceptional spring due to very high water levels but it’s finally going down and we’re going to look at storing some of the Albacores on the beach. Thanks to the volunteers who came out to set up ramps, we’ve been able to move the boats down to and up from the river, for the lessons, while we wait for the water levels to go down. It’s great to be on the water again and the forecast is finally (!) for warm temperatures. With the passing of Harry Adderley, the club has lost not only one of its founding members, but a great friend. To learn more about Harry and everything he has done for the club, please take a look at this page that Ken Eaves has put together to share his memories of Harry as well as some interesting bits of club history. Henry Arnold Adderley June 26, 1935 – May 2, 2017 Henry Arnold Adderley: Died peacefully on May 2 in his 82nd year, with Olga his beloved wife of 56 years by his side. Harry to friends and loved ones, was born in Vancouver, British Columbia, son of Eleanor Magnussen and Arnold Adderley. He is survived by his brother Bryan and sister Margaret Bathy. He was a devoted father to Bryan, Bob, Jacqueline and David. He was a fun-loving grandpa to Jasmyn, Gregory, Marc, Thomas, Cecily, Joshua, Emma, Zenib and Heather and great-grandfather to Zackery and Travis.Harry was an avid sailor who enjoyed introducing others to the Kanata Sailing Club of which he was a founding member, past commodore and lifelong member. Harry completed his chemistry degree at UBC and his post graduate studies at Alcan’s International Management Institute in Geneva.Harry travelled widely and his career included Alcan, Babcock & Wilcox, Statistics Canada and the Department of Veterans Affairs.Harry was a lifelong learner, woodworker, tinkerer, and creator of artistic welded sculptures. Olga will be hosting a celebration of Harry’s life in late June in Ottawa. 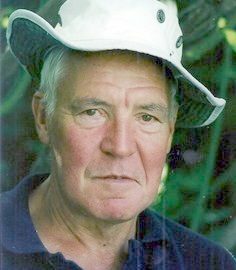 The family would welcome donations in Harry’s name to Parkinson Canada. Published in The Ottawa Citizen on May 6, 2017. More information is available here. Today, our amazing crew of volunteer members changed the boat storage warehouse-looking clubhouse back into a vibrant sailing club, including giving us back our ‘cottage in the city’, in less than one day! Next – Open House on April 29! This year, the KSC is offering several adult Learn to Sail sessions, and we have lots of programs for kids and youth. Private lessons are also available. 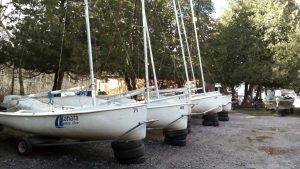 Check out details on our training at http://kanatasailingclub.com/training/. Also, members can check out our sailing clinics! Yes, April is finally here along with some real snow-melting temperatures. It won’t be long now before we’re out there getting the Site in ship-shape condition! Lots of work to be done so please step forward to help out.